In the FASTer Way to Fat Loss® program we emphasize the importance of whole food nutrition and trying to be gluten and dairy free. The point is to stay away from processed foods as much as possible because a lot of those foods contain ingredients that are unhealthy. I do the best I can. In an effort to clean up my food act, I joined the January 10 Day Detox with the FWTFL VIP community. For 10 days I would be thinking about whole foods, clean foods, organic foods. The goal was to reset my body by giving it a break from foods that are known to have a heavier toxic load or prevent the natural detoxification process. Yes, even coaches needed a little motivation and support! That meant giving up some of my favorite things like apple cinnamon rice cakes with peanut butter and jelly, eggs, cheese, meat and caffeine! My heart literally sank a little while I was reading the What to Eat (what to avoid) list. Instead of changing my mind (which honestly crossed my mind) I went into plan and prep mode -> with the help of mrC. We do these once a month in VIP, so this was pretty routine. We started our fasting clock at our last meal the night before and broke our fast at dinner the next day. mrC met me for dinner at one of our favorite restaurants and I broke my fast with grilled salmon, mashed potatoes, veggies and a COKE ZERO! No guilt here. I'm all about what you can, when you can and progress not perfection. Eating according to my regular food cycle was not as hard as I thought it would be without processed foods. Our two low carb days were the biggest challenge for me because so many of my go-to items were on the avoid list: eggs, peanuts, peanut butter, sliced turkey breast from the deli. Both days I failed to hit my macro goals, but I wasn't hungry. 1. New recipes to try with foods I already enjoy. 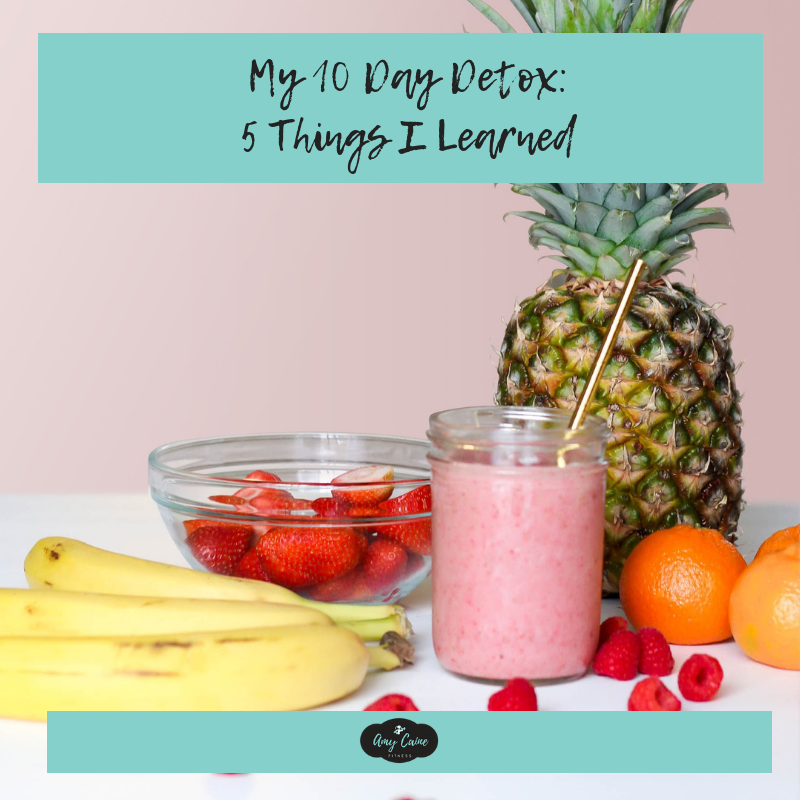 I'm a creature of habit, so the detox helped me get a little more creative with my food choices. Although, I did eat the new things repeatedly! 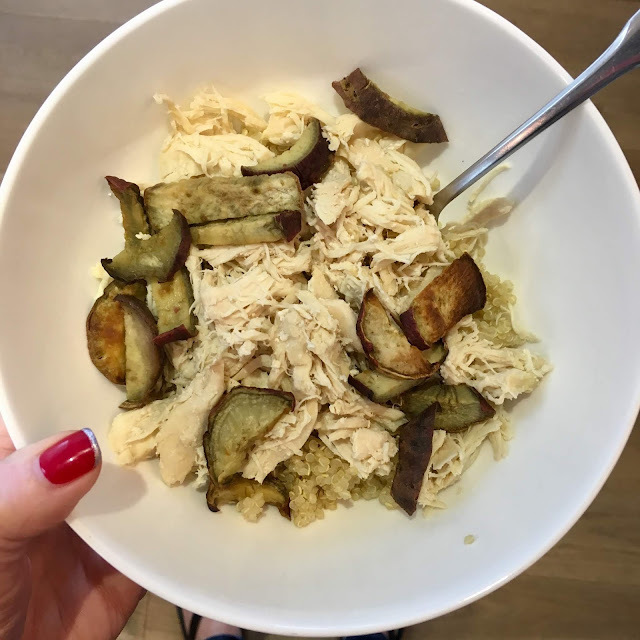 I made this sauce (dairy free) for my shredded chicken and quinoa -> it was seriously SO GOOD! 2. I managed to live without my go-to foods much better than I expected! I don't "need" the foods that were eliminated and hopefully will limit the amount I bring back to my menu. Day 6 was my one off day...I was under calories (again) and there were GF cheese crackers in the apartment. I caved and had a pretty big snack after dinner. But I didn't crash and burn. I was right back on track the next day! 3. Food prep is the key to success when doing a detox! 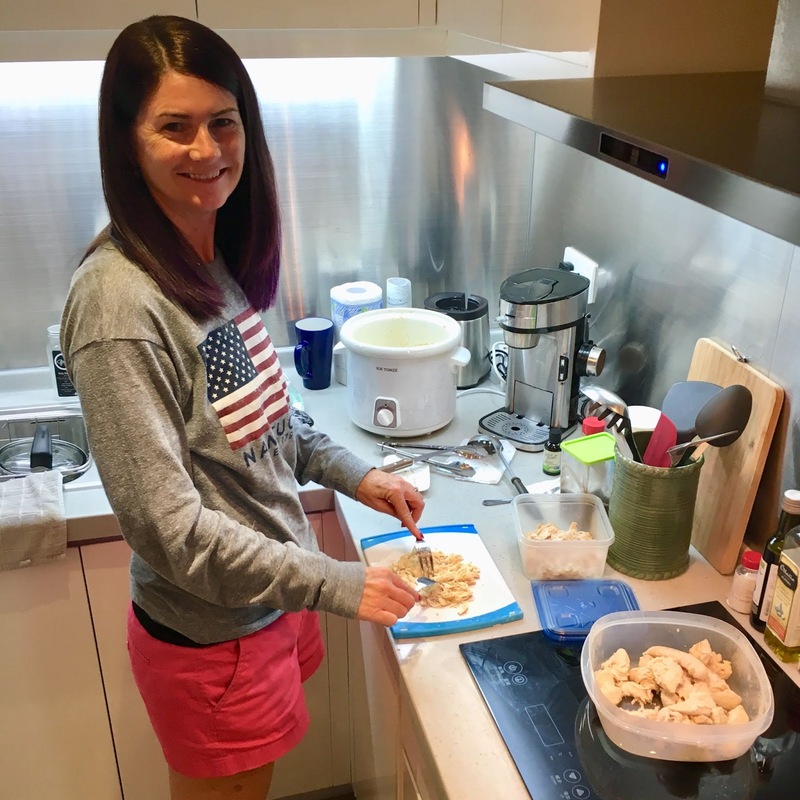 Preparing large batches of chicken breast, quinoa, sweet potato chips, broccoli and stuffed peppers made it insanely easy to mix and match my meals. 4. I like my caffeine. I tried to limited myself to one cup of coffee in the morning and 1 glass of Coke Zero. Some days this worked, some days it didn't. 5. A detox is about more than what you eat. We examined all the ways that toxins can invade our lifestyle such as through cleaning products, makeup, toiletries and more. I've already purchased some BeautyCounter products, and I found deodorant and shampoo at the American store. I'm excited that I made it the whole ten days with only one big slip. I definitely felt more energized in the afternoons and many days I slept later than I have in years. My goal is to continue to limit the amount of processed foods we eat and keep looking at ways to lessen the toxins we bring into our lives. PS - This detox was offered as part of the FASTer Way to Fat Loss® VIP membership and is one of the things that made me fall in love with the program before becoming a coach. We are given the chance to learn even more about healthy living to supplement what we learned in the six-week program and follow-up. The FASTer Way is about helping people THRIVE when creating a healthy lifestyle. To learn more about my next round, click here. Have you ever done a whole foods detox?